Modern electronic components and circuit boards are more complex and customizable than ever. If you’re looking for printed circuit boards and custom-manufactured electronic components, Levison Enterprises is a leader in the small to medium volume market. 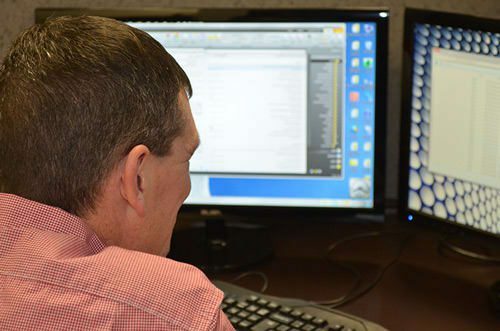 Our designers and engineers work closely with customers to ensure the products we make meet their exact specifications and functionality requirements. Our company stands on a foundation of expert design, masterful engineering, and strong dedication to customer satisfaction in every project. Every employee at Levinson Enterprises completes extensive training and certification programs to ensure the highest levels of quality in everything we do. Electronic component and printed circuit board design are two of our greatest specializations. Electronic products require careful planning and attention to detail to avoid compatibility issues and performance problems. Our in-house design and engineering teams focus on collaboration with clients to create functional, efficiently designed electronic products. Years of experience with evolving technologies allow us to serve a wide variety of clients across many industries. Past projects have included designing printed circuit boards and electronic components for medical device companies, military applications, government contracts, food service equipment, and aerospace engineering. Robust design capabilities with the latest cutting-edge software, applications, and equipment. Experienced mechanical design using platforms such as AutoCAD and SolidWorks. Extensive Design For Manufacture analysis using state-of-the-art testing equipment and techniques. Complete product design from planning to development to production. Our goal is to bring your product ideas to life with expert-level craftsmanship and top-notch customer service through every step. What’s Special About Our PCB Designs? 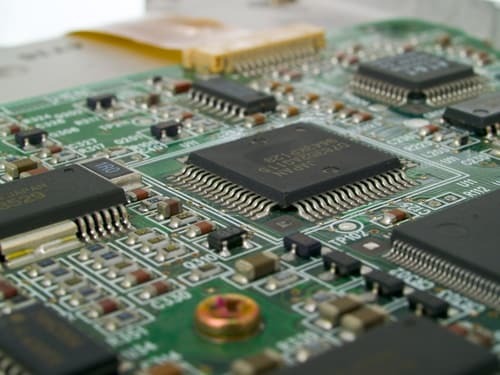 Printed circuit boards are an essential component in most modern electronics, and our customers count on Levison Enterprises to create printed circuit boards that look, and function exactly as needed. We treat circuit board design as an art form to create final products to meet the highest construction and performance standards. Our surface mount format circuit board allows us to accommodate multiple components of varying sizes, implement multiple material types, and apply various degrees of surface finish in single or double-sided configurations. Our printed circuit board designers are also experienced with through-hole format design. Although many consider this older technology, through-hole format circuit boards provide several distinct advantages that many modern electronics require. 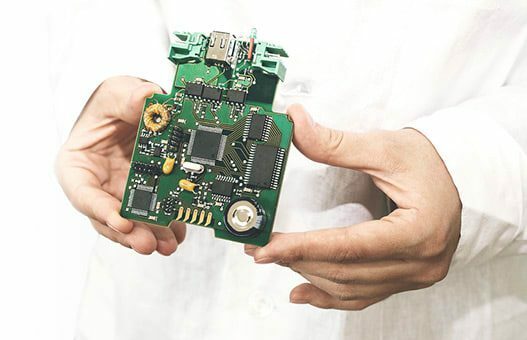 Whether your company needs a supply of custom-made electronic components, expertly-crafted printed circuit boards, complete product manufacturing, or electromechanical assembly, we can help. Levison Enterprises also offers a host of other support services, including software implementation, rollout testing, customer product branding, and supply chain management. You can have your products manufactured, stored, and shipped entirely through our facility, saving you time and money with your supply chain management. 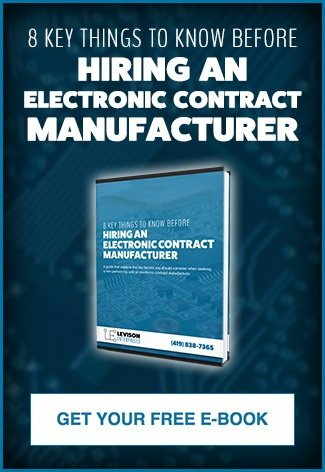 If you’re interested in how Levison Enterprises can handle your next electronic component or printed circuit board project, get in touch with our team to learn more about our services and products.